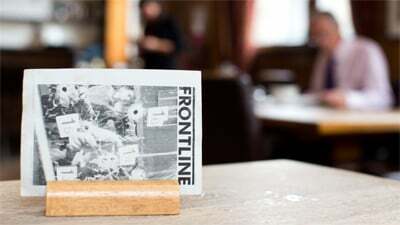 The Frontline Club will be screening HONDROS followed by a Q&A with director Greg Campbell and Executive Producer Riva Marker in conversation with Vice President of Getty Images and old friend of Chris’, Hugh Pinney. 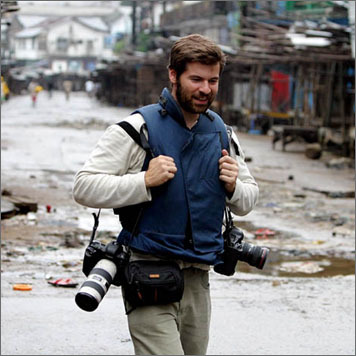 In HONDROS director and childhood friend Greg Campbell reveals a portrait of a man – Chris Hondros who found and explored humanity in war-torn countries with great depth and sensitivity. 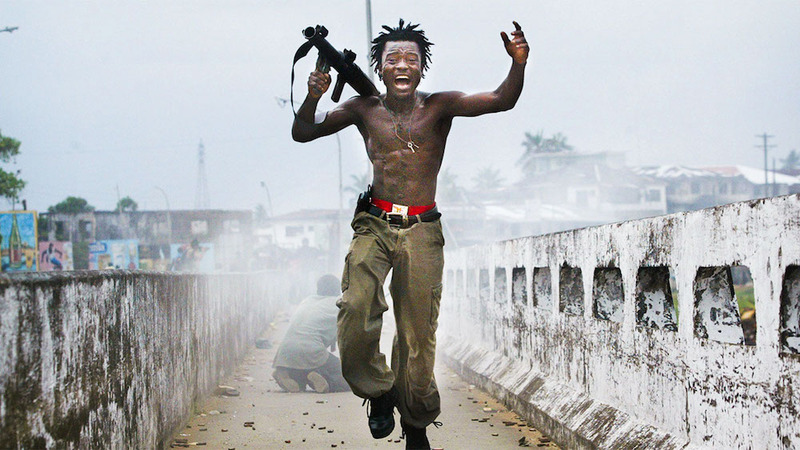 Hondros’ passion for his craft could only be matched by his unending talent for creating breathtaking imagery. Hondros is the 2017 documentary winner at Tribeca Film Festival. Chris Hondros was an award-winning conflict photographer who covered nearly every major world of event of our time before he was killed covering the civil war in Libya on April 20, 2011. 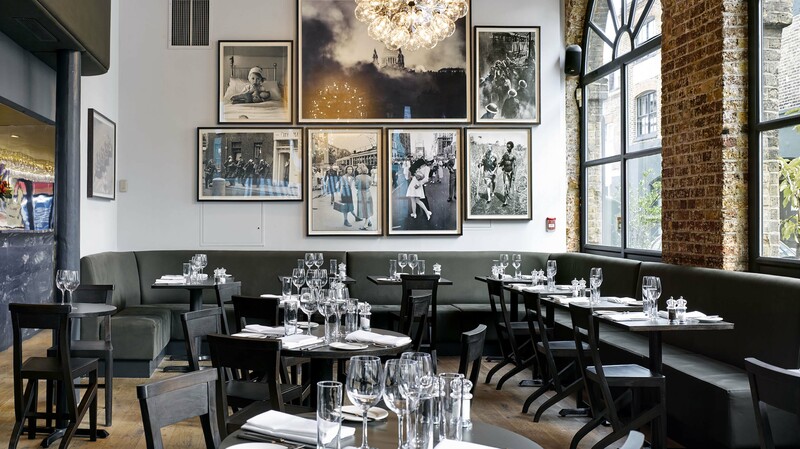 As a senior staff photographer for Getty images, Chris was frequently recognised by his peers for photographs that are examined in depth in HONDROS. Among the many awards and citations he earned for his work, Chris won the Overseas Press Club’s 2003 John Faber Award for his work in Liberia, the 2006 Robert Capa Gold Medal for his work in Iraq and he was a two-time Pulitzer Prize finalist. Director: Greg Campbell is a documentary filmmaker, journalist and bestselling nonfiction author making his directorial debut with the feature-length film HONDROS. Campbell is co-founder of Denver-based production company Fox Tale Films and the author of “Blood Diamonds; Tracing the Deadly Path of the World’s Most Precious Stones,” the book that inspired the Leonardo DiCaprio film BLOOD DIAMOND. 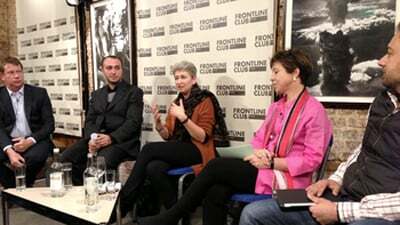 As a journalist and filmmaker, Campbell has reported from around the world, including throughout Africa and the Middle East. He lives in Denver. Executive Producer: Riva Marker is the Peabody Award-winning film producer and President of Nine Stories, the production company she launched with Jake Gyllenhaal in 2015. Prior to Nine Stories, Marker produced Cary Fukunaga’s BEASTS OF NO NATION, which won both SAG and Indie Spirit Awards for its star, Idris Elba; Michael Showalter’s comedy HELLO, MY NAME IS DORIS, starring Sally Field; and she was an executive producer on Lisa Cholodenko’s Academy Award-nominated THE KIDS ARE ALL RIGHT.